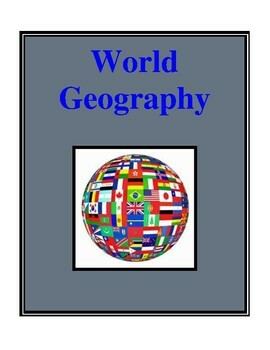 World Geography is designed to supplement and/or introduce material in a study of world social studies/geography curriculum. 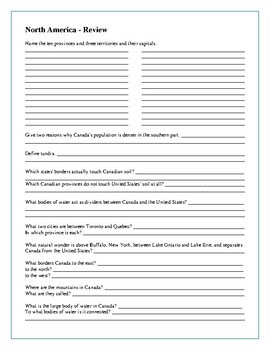 Each activity worksheet helps students learn the names and locations of countries, cities, and geographic features around the world and their relationship to one another. 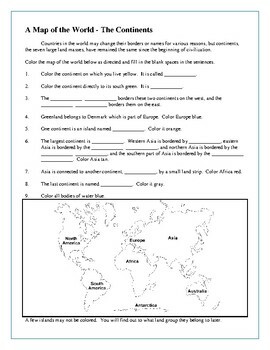 Answer Keys are provided for each worksheet. 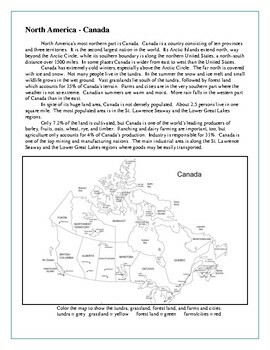 Worksheets include: A Map of the World-The Continents, North America-Canada, North America-Review, North America-Mexico and Central America, North America-Mexico and Central America-Review, South America-South of North America, South America-Review, Europe-Scandinavia and Eastern and Western Europe, Europe-Scandinavia and Eastern and Western Europe-Review, Africa-Mostly Tropical, Africa-Review, Eurasia-(Former) Union of Soviet Socialist Republic, (Former) Union of Soviet Socialist Republic-Review, Asia-Middle East, Asia-Southwest, Asia-China and Its Neighbors, The Far East-Japan and North and South Korea, The South Pacific-Australia and New Zealand and Oceania, South Pacific-Review. Please Note: Even though some material may not be up-to-date, much of the resource can be used without modification. Changes in world geo-political features offers an opportunity for students to learn real-world issues in regards to border changes.